Landscape Photography post processing tutorial: In this landscape photography editing tutorial, I will explain in detail the step by step techniques used to create one of my favorite images, “Phoenix”. This will include the overall process from start to finish of how I edit my landscape images. 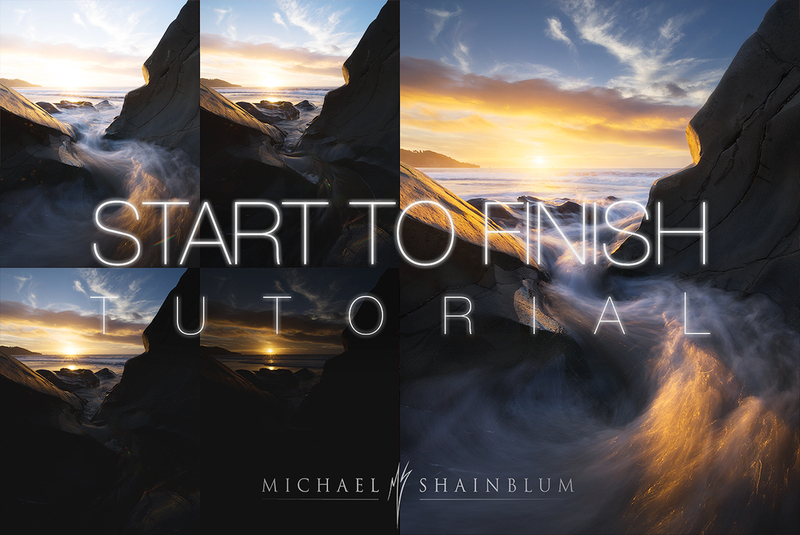 You will be provided with the relevant files to follow along with during this photography tutorial. 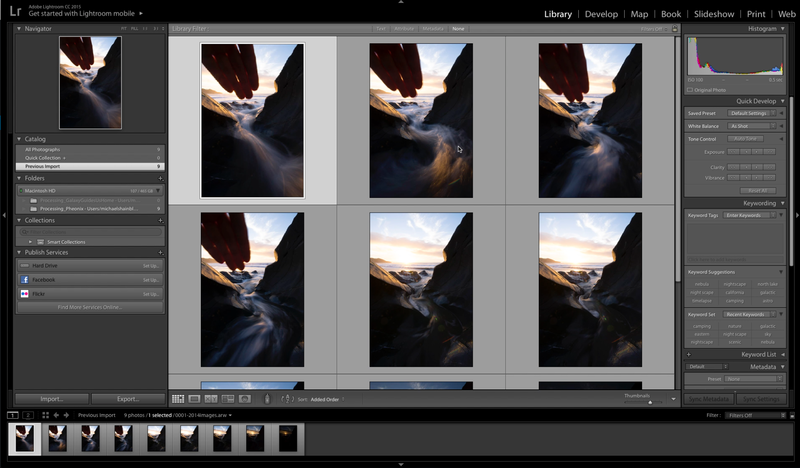 We will begin with a Lightroom session, focused on basic edits and organizing the files. 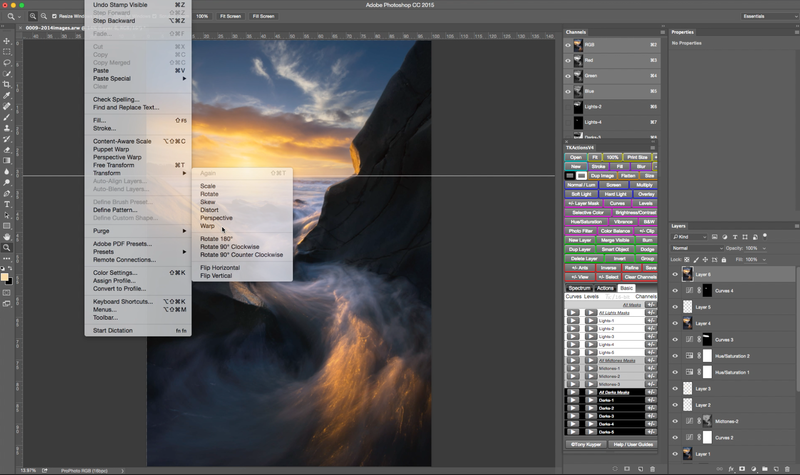 Then opening those files into Photoshop to include more advanced image blending, dodging, burning and techniques that will allow you to have full control over your images. Adobe Lightroom, Adobe Photoshop, and Tony Kuyper Luminosity Masks Free Version, or Tony Kuyper Luminosity Masks Full Version. 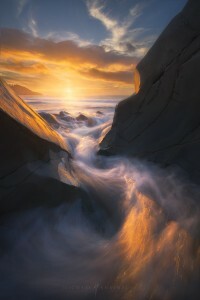 Tricks and Tips for composing and shooting seascape images. 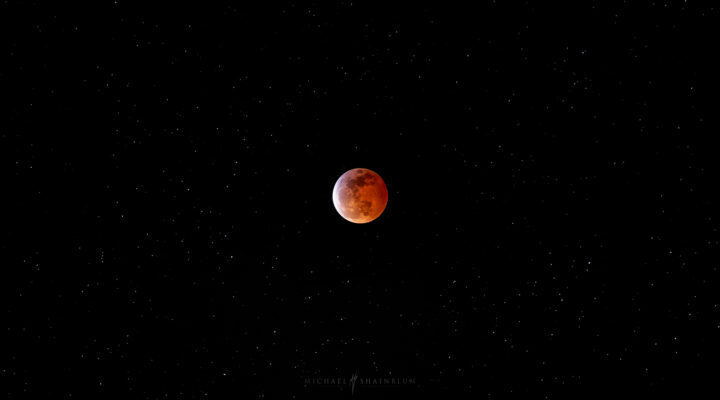 To see more photography tutorials and landscape photography editing courses. Click here. Landscape photography editing tutorial in Adobe Lightroom and Photoshop. Learn how to blend multiple images together in this post processing tutorial to create great dynamic range and exposure, even when shooting directly into the sun! Learn landscape photography editing techniques in Photoshop that you can apply through your editing workflow of any image. Giving you full control of the creative process.